A prolific berry-like fruit with a smooth, blue skin. The fruits are reportedly edible (though we haven't tried eating them). Seeds are not available for the Mexican Barberry. Please visit our seed store to view current selections. Seeds were last available in September 2014. A fairly short shrubby tree, growing to 5-10ft. 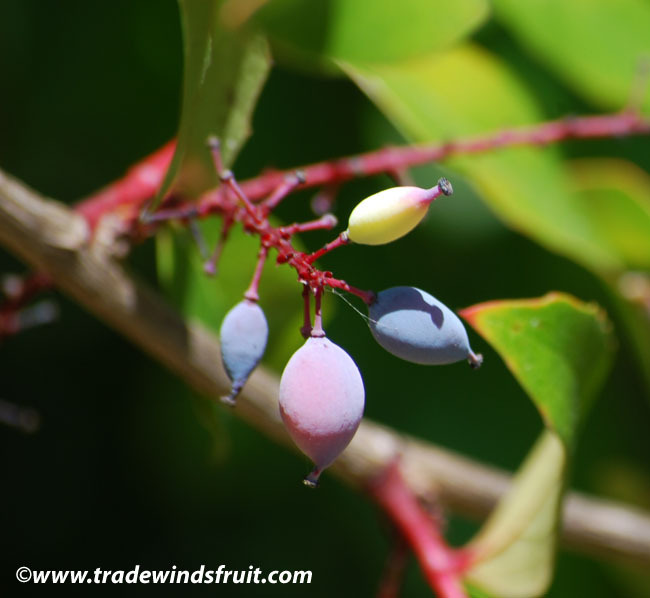 Fruits are born in long clusters and ripen from white to pink-blue and then finally blue. Fruits in all stages of ripeness can be found on the tree at the same time, creating a nice visual. The fruits are popular with birds as well. A fairly hardy shrub once established. Grow in full sun or part-shade. Water moderately during warm months but it should show some drought tolerance once established. 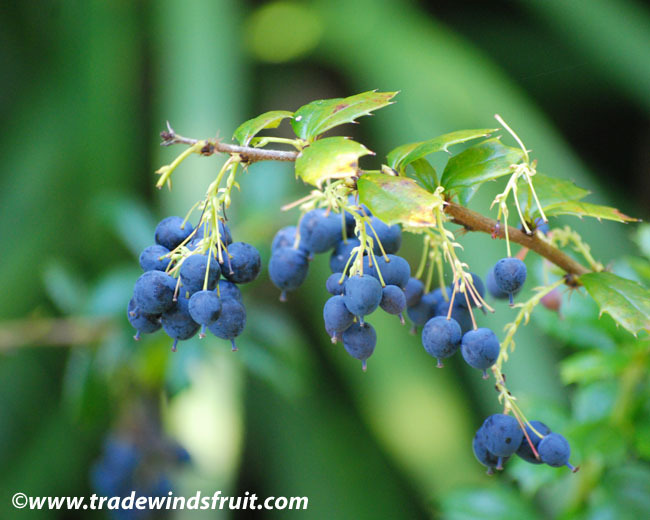 The plant makes a pretty landscape shrub, mainly for its nice leaves and pretty fruits. The fruits are popular with birds as well. Native range includes Mexico and a tiny part of the southwestern United States.